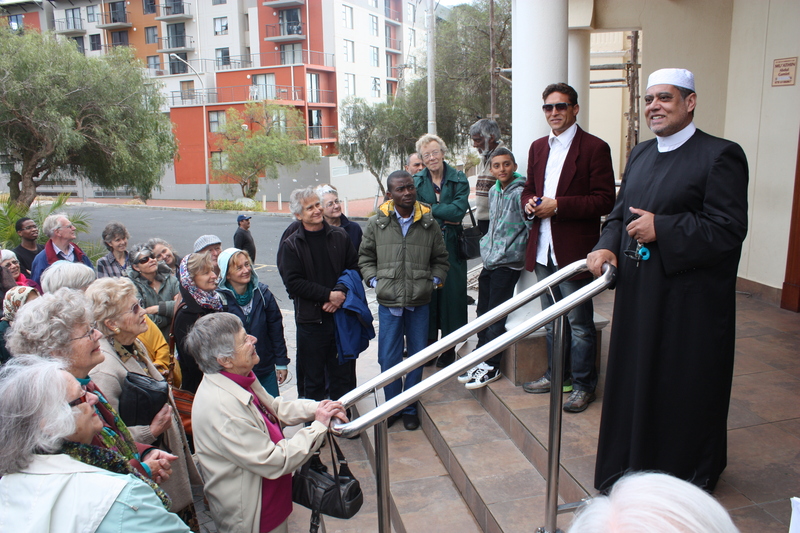 On this public holiday, the 24th of September, the Cape Town Interfaith Initiative takes approximately 100 pilgrims on a bus tour to different places of worship, sacred spaces and sites. This is a wonderful opportunity to visit places of different faiths and interact with a diverse group of travellers. Pilgrims of 2012, outside the Zeenatul Islam Masjid Muir Street Mosque. They also visited the Groote Kerk, the Greek Orthodox Cathedral of St. George, the Mowbray Shul, the Krishna Consciousness Centre and the Tushita Buddhist Centre.